There are a large number of features associated with Windows Phone due to which is it is consistently in the center of attraction among the users worldwide. Each version of it has its own remarkable user interface and phenomenal social features. At Ardent, we believe that there is no limit to knowledge as well as learning. This is the reason why with the introduction of the new versions in the Windows Phone, we prepare our self for offering better development results to our clients. The software development for the Windows Phone is carefully executed by taking into consideration the major to minor needs of the client. We believe in applying a partner centric approach to benefit our clients in a far better way than anyone else in the market. Our team of talented designers and developers believe in tireless work in order to not only match up the targeted goals but also to provide something unique and far better than the expectations of the user. For reliable app development in Windows Phone, we believe in generating innovative platforms and frameworks with a robust approach. While offering the app solutions, we take complete care of the budget provided by the client and try to deliver the best in it. 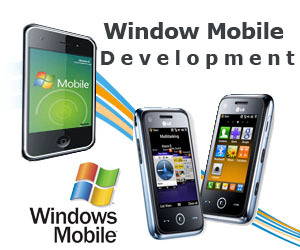 It is the right time for you to get benefited with the enormous experience of our team of working in an ideal Windows mobile environment. So get served by the best Windows Phone development services in the market now! Your all needs will be precisely met at Ardent.